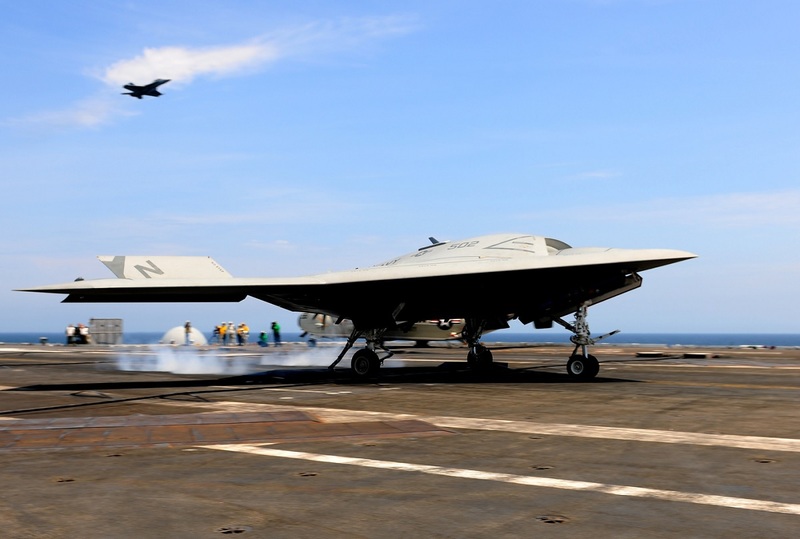 The Navy Center for Applied Research in Artificial Intelligence (NCARAI) at the U.S. Naval Research Laboratory (NRL) joined forces with Naval Air Systems Command (NAVAIR) and the Air Force Research Laboratory (AFRL) to continue work on the NRL-developed Tactical Battle Manager (TBM), a software system that uses intelligent agents to guide unmanned aerial vehicles (UAVs) that each serve as a ‘wingman’ in manned/unmanned teams, in simulated beyond-visual-range (BVR) air combat missions. The TBM streamlines cross-platform coordination of manned and unmanned air combat teams to operate in highly contested environments. It allows a human operator to manage the UAVs on a team by coordinating their objectives/goals. In these scenarios, operators control the lead air vehicle and communicate with autonomous agents, each of which is TBM-controlled. Each agent observes its environment through its sensors and executes actions to achieve its goals. These agents employ Goal Reasoning techniques, which allows them to dynamically self-select mission objectives to pursue, thus ensuring competent behavior when the operator is inaccessible and unanticipated situations arise (e.g., representing challenges or opportunities). NRL’s team integrated the TBM with AFRL’s Analytical Framework for Simulation, Integration and Modeling (AFSIM) and NAVAIR’s Next Generation Threat System (NGTS). 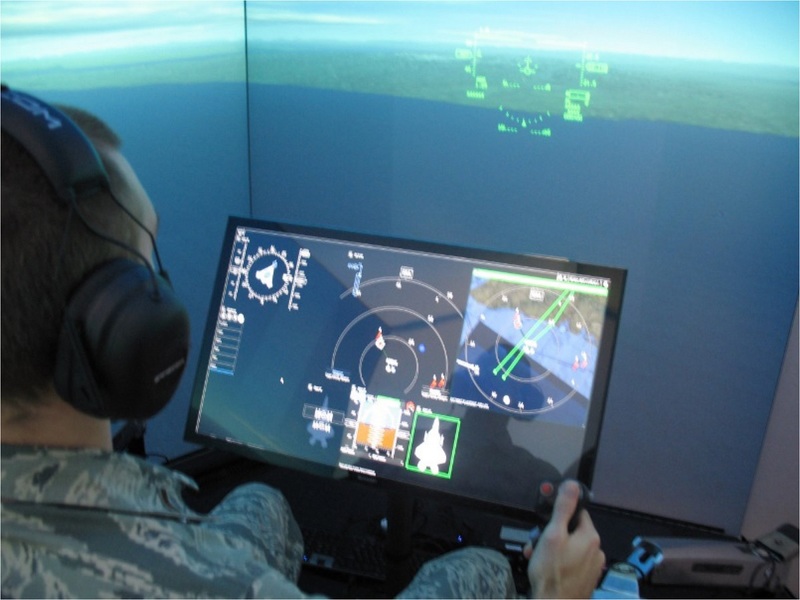 AFSIM and NGTS are high fidelity BVR mission simulators that model air, land, and surface platforms, including weapons and subsystems, and are used daily by pilots in virtual training and testing systems. Aha says that in initial human studies with AFSIM, in counter-air scenarios, expert pilots said they had a positive attitude for trusting the TBM’s ability to control a UAV under their command. Development of the TBM took place within the framework of the Office of the Secretary of Defense-sponsored project Autonomy for Air Combat Missions, which is one of five multi-service research projects on autonomy technology that involves NRL researchers. NRL’s intelligent agent for controlling unmanned vehicles is being used by AFRL and NAVAIR in simulated BVR air combat scenarios.